Which LC Duplex Connector Suits Your Network? As data processing technology has advanced rapidly, smaller and more compact cabling components also meet their golden age. Nowadays, there are a number of connectors in the market. However, LC connector, also well-known as the SFF (Small Form Factor) connectors, is currently the most frequent used types in LANs and data center. However, do you really know them well? And do you know which one suits your network better? Today, this post will get you to know more about LC duplex connectors. The standard LC duplex connector, namely the traditional type, was developed by Lucent Technologies. It is designed with a retaining tab mechanism that is similar to the RJ45 connector. Its connector body is squarish shape that is similar to SC connector. Thus, LC is also called mini SC. Standard LC duplex connectors are LC with a duplex configuration with a plastic clip. The ferrule of a LC connector is 1.25 mm. 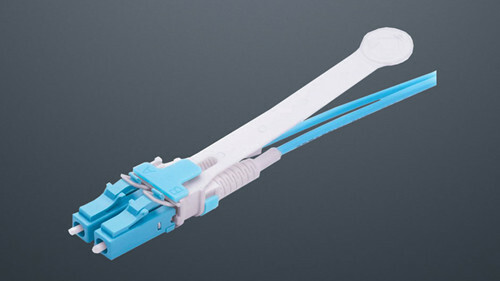 As the basic type, the standard LC duplex connectors are universal in various fiber optic network applications. The mini-LC duplex connector is a variation of standard LC. It uses current industry-standard LC connectors but allows closer ferrule spacing by using the duplex clip (usually with color coding)—mini-LC has a reduced center spacing of 5.25 mm compared to a standard LC of 6.25 mm. And this type of LC duplex connectors is designed to operate with the Mini SFP transceivers and it enables a higher density deployed port count for data center network equipment. Generally, black color duplex latch clips and boots are used to distinguish the mini-LC duplex connectors. There are 12 color-coded keyed designs in keyed LC assemblies. 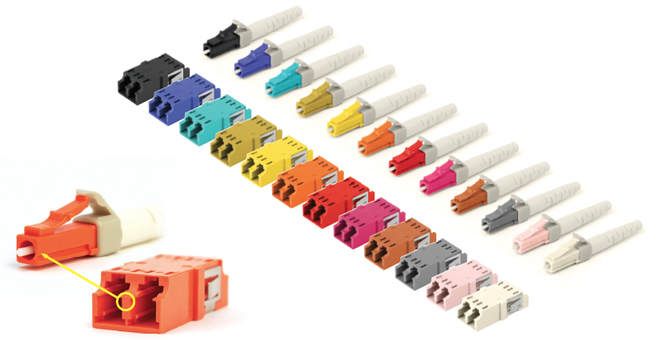 Each color of keyed LC duplex connectors represents a unique keying pattern which only allows its matched color-coded adapter mating. And the keyed features cannot be duplicated with standard LC components thereby keyed LC duplex connectors can reduce the risk of accidental or malicious network access, particularly in shared access areas or in secure hierarchical environments. LC duplex connector with uniboot is two LC connectors encased in a common housing with one boot, terminated on a single twin-fiber round cable. This type of connector is more compact compared to standard LC duplex. And the extended longer latch on top of the connector body makes it easier to disengage from the adapter, even in high-density packaging. 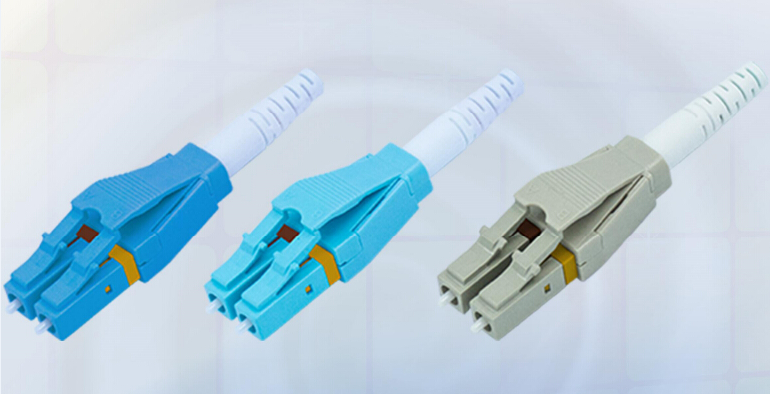 Fiber patch cables terminated with uniboot LC duplex connectors, are ideal for high-density cabling application since they can reduce more fiber counts and greatly reduce cable management space. If you have the experience of releasing LC duplex connectors in patch panels in high-density cabling, you may know how difficult this can be. Because in the cabling case, thumbs and forefingers are not ideally suited to operate the release lever and pulling the connector. But LC-HD duplex connectors can solve this problem perfectly. With a flexible “pull-tab” or “push-pull tab”, the LC-HD duplex connectors enable the connector to be disengaged easily from densely loaded panels without the need for special tools, which allows users easy accessibility in tight areas when deploying in data center high-density applications. There are diverse variants of LC duplex connectors. Different types have different features. 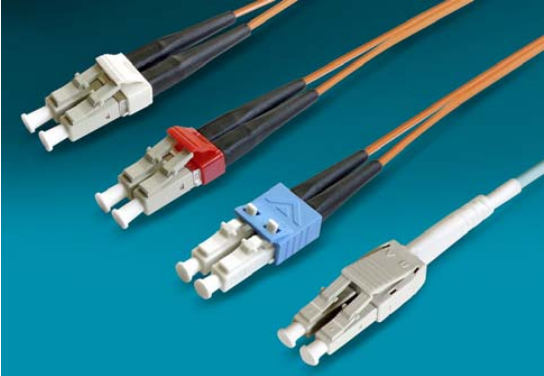 But as the fiber optic communication is developing quickly and the increasing requirements for smaller size components, choosing the suitable connectors is important. Of course, choosing which one is based on your actual applications and particular needs. FS.COM provides various kinds of fiber optic connectors and cables with those connectors which can maximize the effectiveness for your high-density applications, data centers, interconnect and cross-connect, private networks and premise installations. Besides, after reading this post, do you know whether you have chosen the right connector for your network? This entry was posted in Fiber Optic Connectors and tagged keyed LC connector, LC duplex connector, LC uniboot connector, LC-HD high-density connector on September 28, 2016 by Chloe Wang.